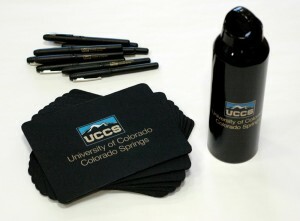 To encourage use of a feature within Communique, the University Advancement Division will offer free water bottles, mouse pads and pens to faculty and staff who post comments to articles posted on the faculty and staff newsletter. The comment feature allows for reader interaction and reduces the need to send all-campus e-mails. The feature has been most widely used when notices are posted about the loss of a faculty or staff member. Last week, Sherry Morreale, associate professor, Communication Department, posted comments about a new feature profiling faculty members and innovative teaching methods. She will receive a mouse pad. All comments are welcome. Comments that are disrespectful or profane will not be posted.